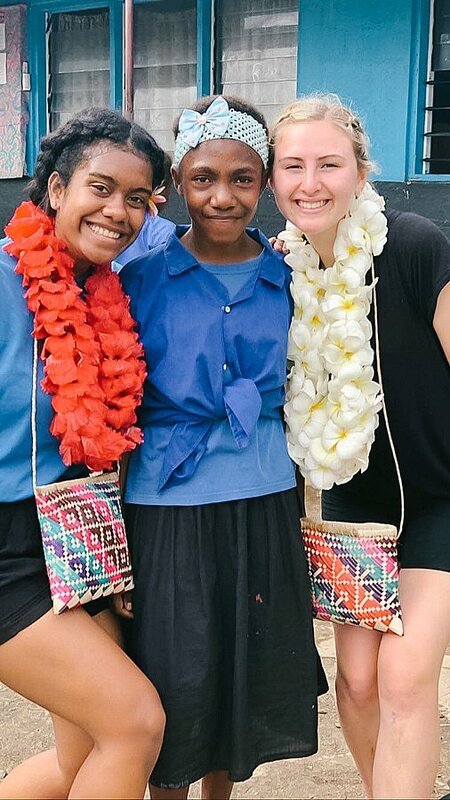 At the end of last year, 15 students from the class of 2018 decided a trip to Vanuatu was the place to be after school, and not with their close friends doing other ‘schoolies’ things. The fact that they all chose Jesus and his service as a celebration is a true testament to Pacific Hills and their serving attitude. Going on this mission trip was such an honour and blessing to be a part of. Vanuatu was incredible. I loved every single minute of it and every single thing we did! I’m extremely thankful that I got to be a part of such a wonderful team that was led by such amazing teachers. Mr Mcconnell, Miss Smith and Miss Estacio did such a great job in looking after us but most importantly they taught us that the most important thing in this world is Jesus and though seasons may change, his love will never fail us. My favourite activity in the schools was playing games with the children. They really loved games and it really made me happy seeing their faces light up. I also enjoyed spending some time sitting with some of the Year 5 girls and chatting to them about their families and life. They loved having someone showing interest to their lives and just listening to their stories. 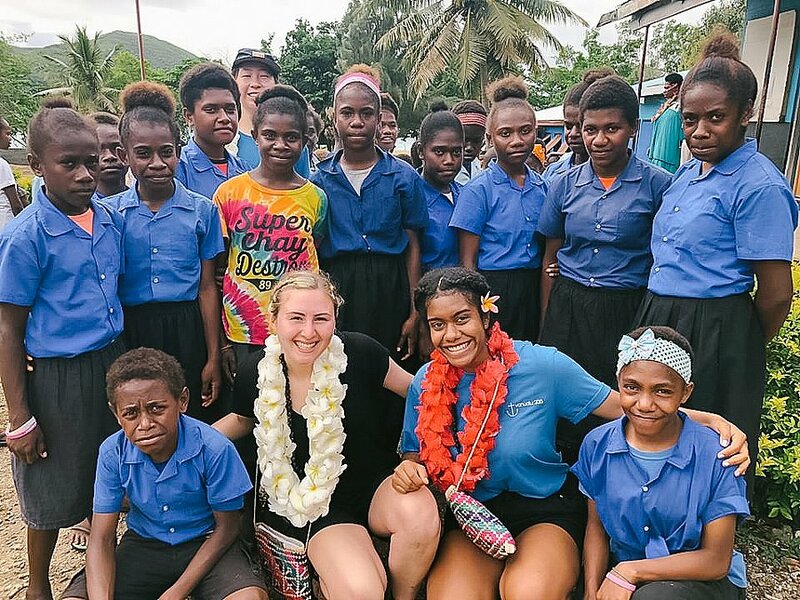 God told me about how we should be grateful for what he has given us and use it to benefit others no matter who they are, just as the people in Vanuatu were so hospitable and generous. For me personally, Vanuatu was the ideal way to spend the days that followed my final HSC exams. 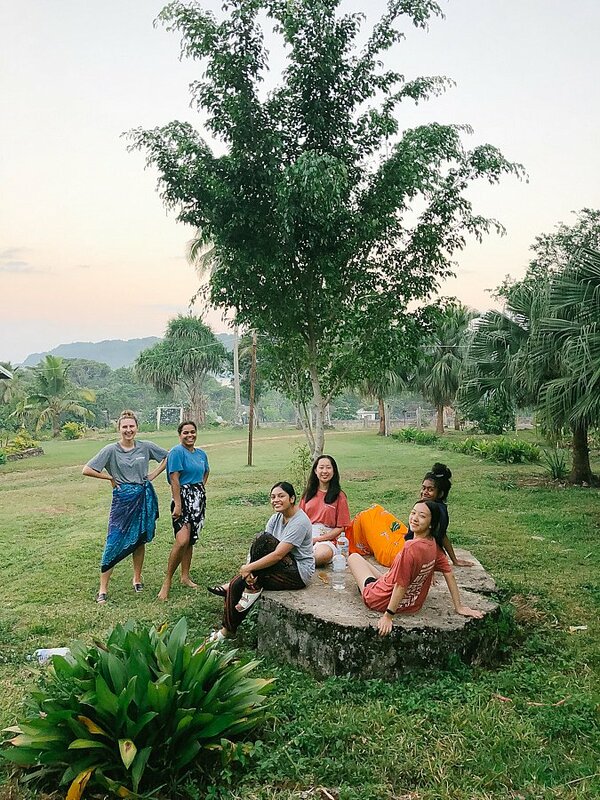 A trip centred around sharing God’s unconditional love and building upon my own understanding of service along with people who were like-minded. The most valuable lesson I took home from mission was the importance of thankfulness. At Prenter School, I spent an entire day going through each grade asking the children to write what they are thankful to God for. They were creative and drew pictures along with their statements. It was clearly evident to me that God is a generous God and he cares for the needs of each of his children. He has blessed these kids with the opportunity to receive an education and many of them with loving families. 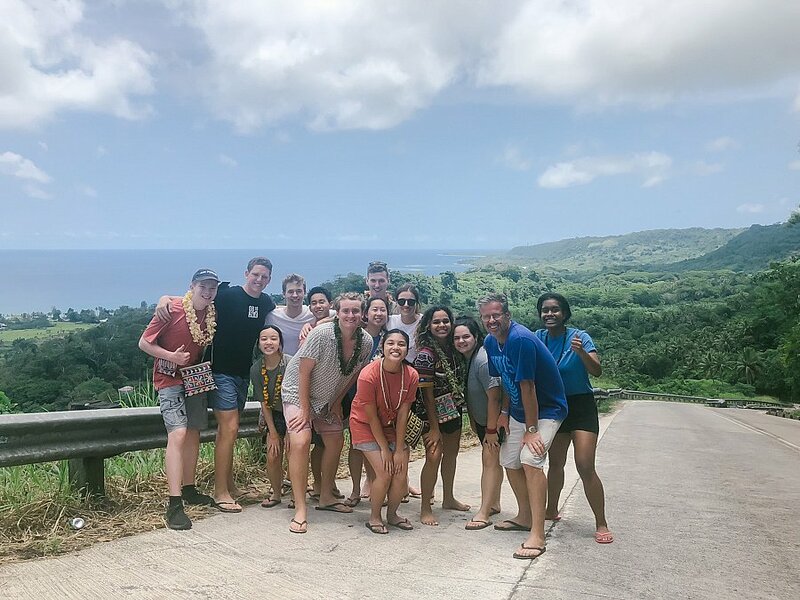 As we celebrated and enjoyed the final days in Port Villa relaxing at Turtle Bay, kayaking to the Blue Hole, reflecting over the jam packed days of service, I was filled with joy and thankfulness. Often it is when we look back and reflect that we realise how much God moved and was present in each place we went. We were blessed with a team who kept going in the challenging moments and I will be forever grateful for the moments we shared with the people of Vanuatu. I am also thankful to Pacific Hills Christian School for providing an incredible trip as each of us transition into a fresh, unknown, exciting chapter of life. When we visted Nguna island, we served at schools and sang Father Abraham and 10-9-8 God with the kids. We Played games with the kids and taught them how to play noughts and crosses and handball. Throughout the trip, God taught me about how we should be grateful for what he has given us and use it to benefit others, no matter who they are. 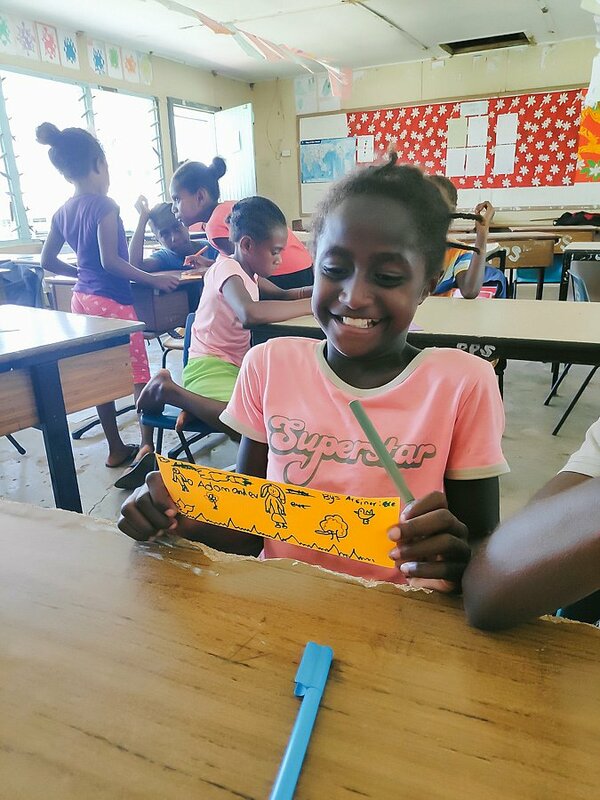 The people in Vanuatu modelled this attitude and were so generous in their time and hospitality to us even though they didn’t have a lot. I believe we have been placed on this broken world to be beacons of light. I believe we are here to learn how to love and be loved so that we can understand the purity and passion of the love of our saviour, Jesus. 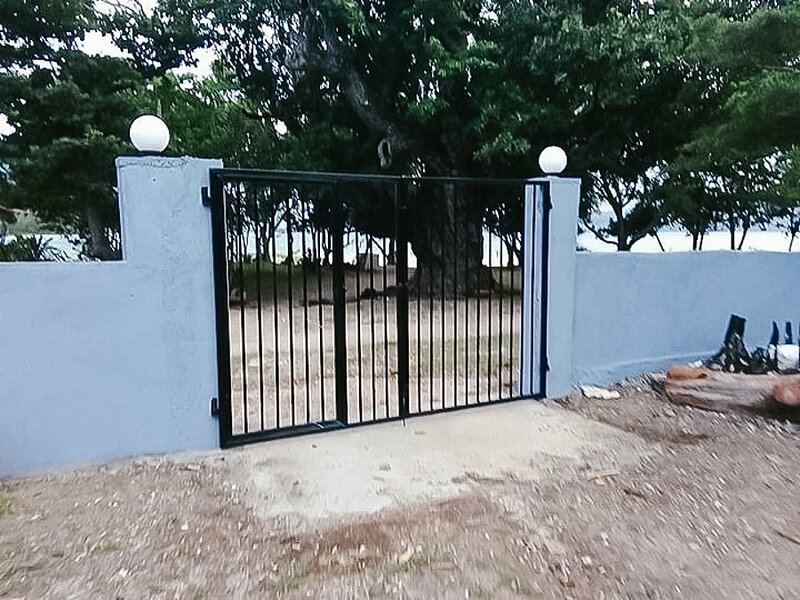 Vanuatu gave us the opportunity to fulfill these purposes. 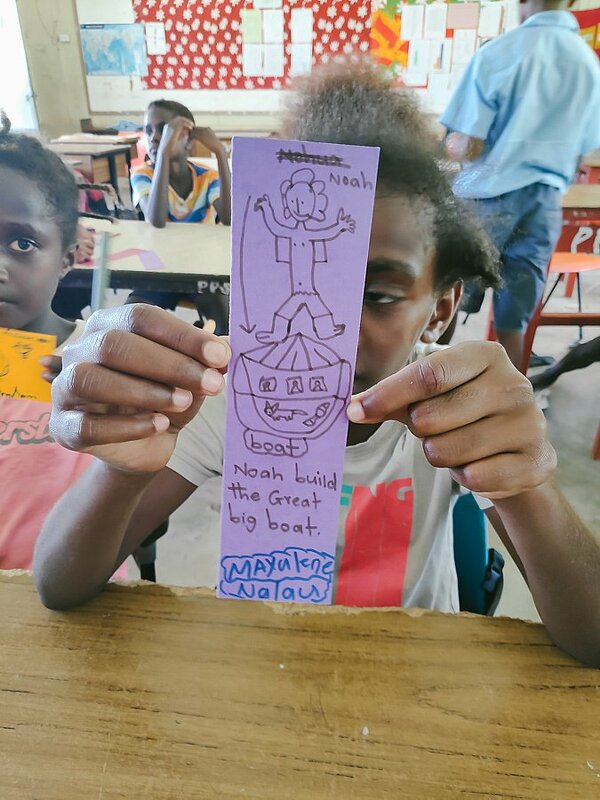 We were loved so immensely by the people of Vanuatu. On the first island we visited, a family left their entire home for us to stay in. I imagined myself doing the same and I found it much more difficult to even think about than they made it look. Their love and sacrifice for us reminded me of Jesus and the love and sacrifice he made for us on the cross. Ironically that kind of love is what we travelled to share, but it is always we who learn the most. Vanuatu was a gift. A gift that let me understand the true purpose of our place in a broken world. Life changes when you leave school. And as you take on the world, I believe there is no better way to prepare than recommitting your life to Jesus and the purpose he has for you. As I floated in the rich blue water of a tropical beach, the sand as soft as silk under my feet, I watched the sunset sparkling over the ocean and was reminded of Gods awesome creation. And as the sky turned orange I thought to myself there is no place I’d rather be. 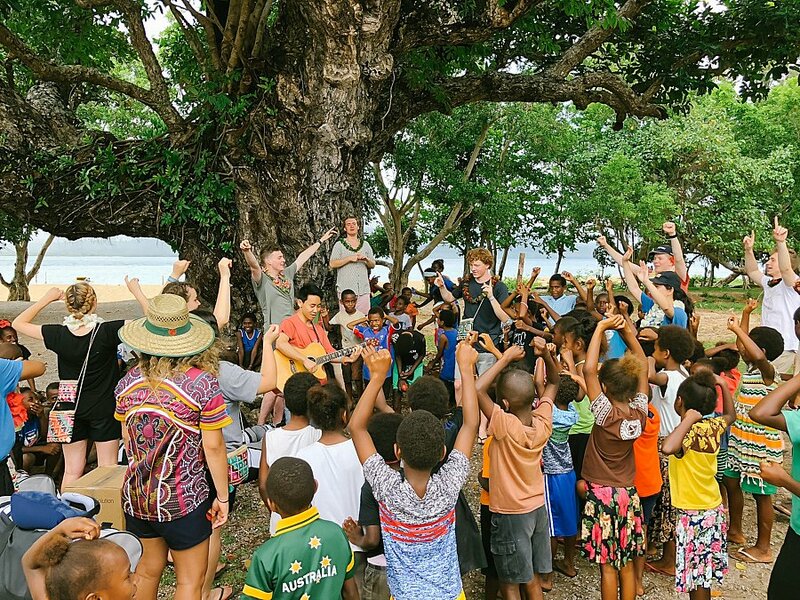 Vanuatu Mission 2018 was the most wonderful opportunity to use our post school celebrations to serve communities in need and to exalt Jesus’ name globally. The simplicity of what we shared with the kids, through small games, singing and playing guitar, blowing a million and one bubbles and colouring, through the sports and the dancing, we each discovered both a new side to ourselves, capable of entertaining 30 children at a time and for persevering to do this seven times in a row on the hottest day of the trip. A huge challenge for me this trip was the happiness of the people of Vanuatu. Everywhere we went it was pretty obvious we were tourists because of our clothing, skin colour and cameras. Every time we were on the bus or walking somewhere, even within the schools there was wave after wave from complete strangers. 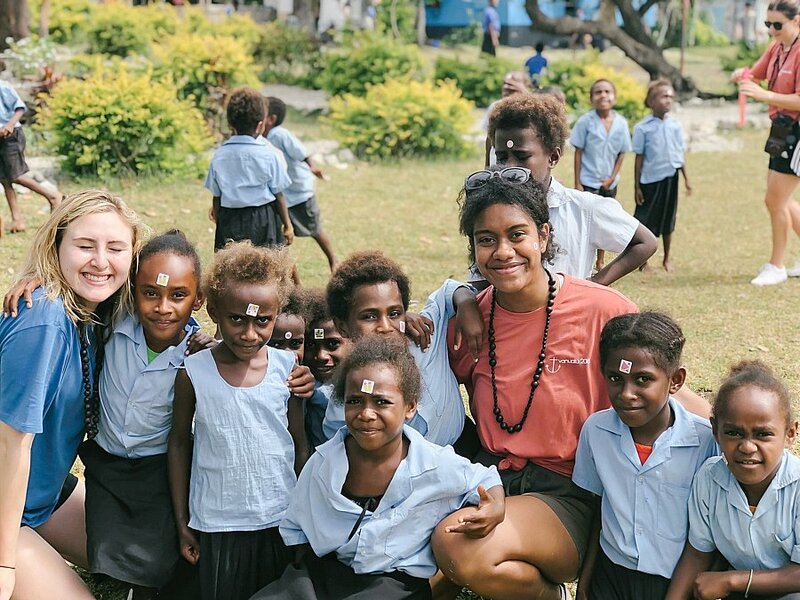 I’m so grateful I had the opportunity to go on Vanuatu this year. 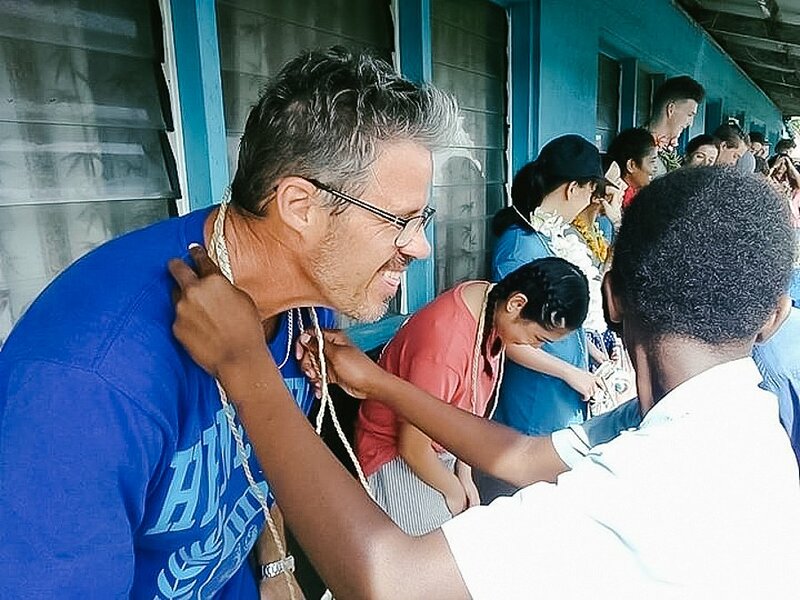 It was my fifth mission trip and it was nothing compared anything I’ve previously experienced. It was a great way to end my time at Pacific hills and I was also able to make really good friends. 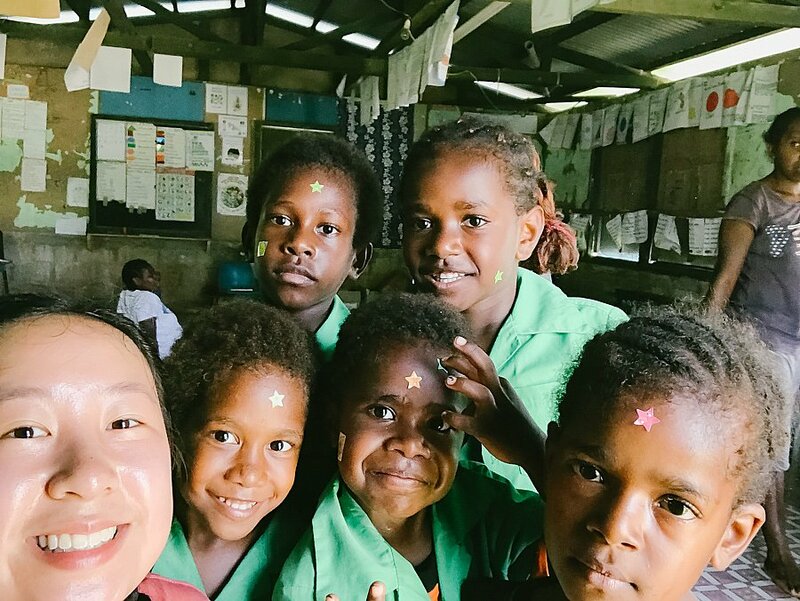 Going in Vanuatu allowed me to challenge myself with my patience and also prepared me that it’s okay to step forward and not have a clear plan of what my future looks like. 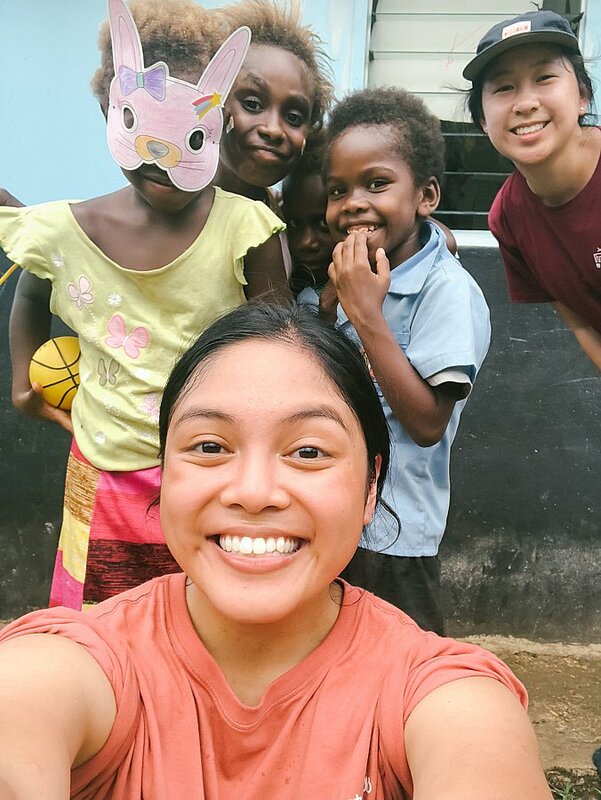 This was my first time to Vanuatu and my first trip with ‘Schoolies’ students. Having not been before I was not sure what to expect. 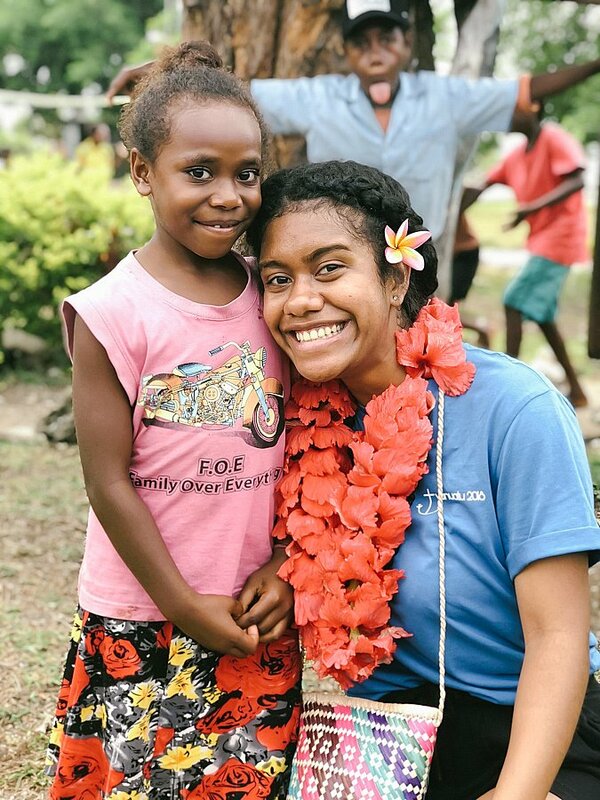 Safe to say I am now a firm believer and advocate for students spending their first weeks following the HSC in a Christian community, investing into the lives of others and building relationships that will last a lifetime. 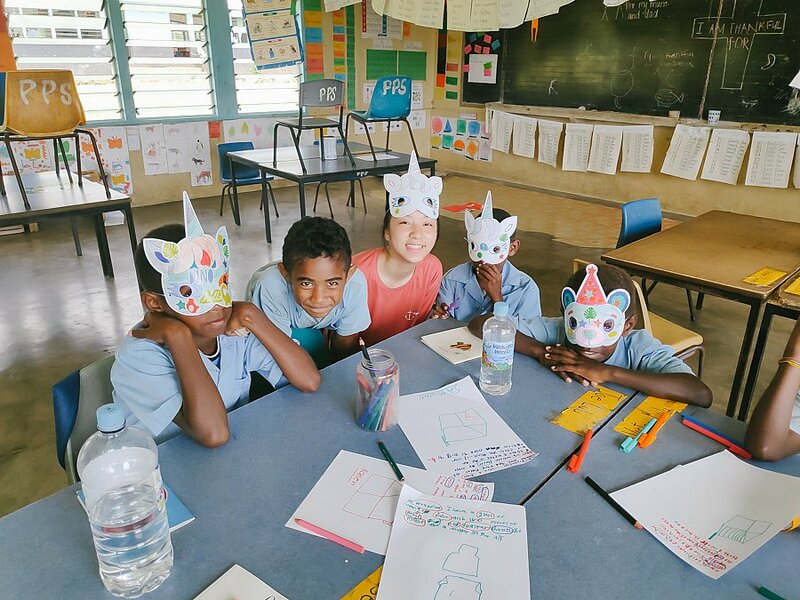 It was such a joy to see our students pour themselves into service in a time when often people choose to spend time thinking about themselves and what they want. There is such power in partnership and in building relationships with Christians in other places around the world. Attending church on the Sunday was a beautiful reminder than we can worship God in any tribe, or tongue. 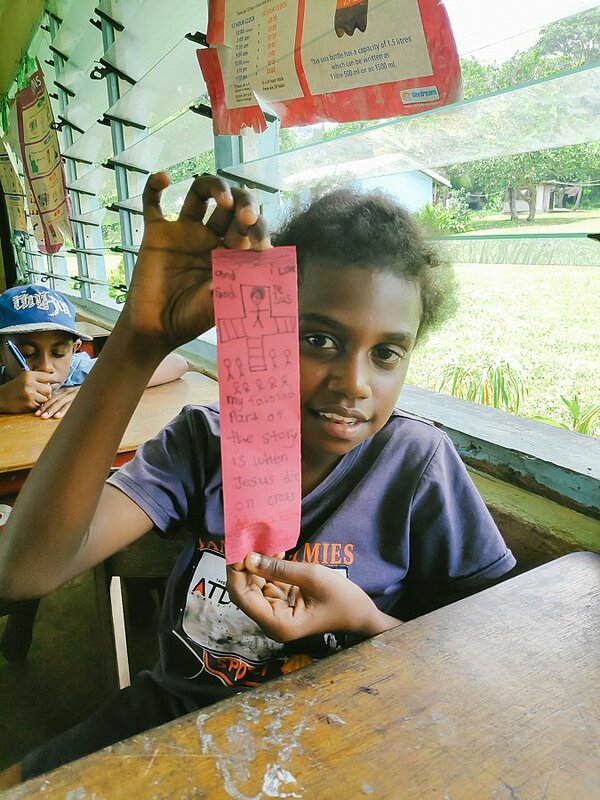 The service was in Bislama, the local language and we understood none of it, however, God’s presence was there and it was an experience I will never forget. God’s hand was so evident in the planning of this trip. We saw Him overcome hurdles or obstacles that we came across and when we were there, He was so faithful in guiding our steps, our conversations and the details of our every day. I am blown away by the generosity of others, we went to bless others but left feeling so blessed by the people we met and the way they cared for us. Witnessing such generosity and their genuine happiness, I was reminded of the acronym for joy: Jesus, Others, Yourself. I believe that God was teaching me the true path to joy, which can only be found in Christ Jesus. Serving Jesus and making him known in word and deed to the kids that we played with, the teachers we helped and the people we met was honestly an experience that I am thankful for. God was revealing Himself through His people and it was a joy to witness and be a part of. 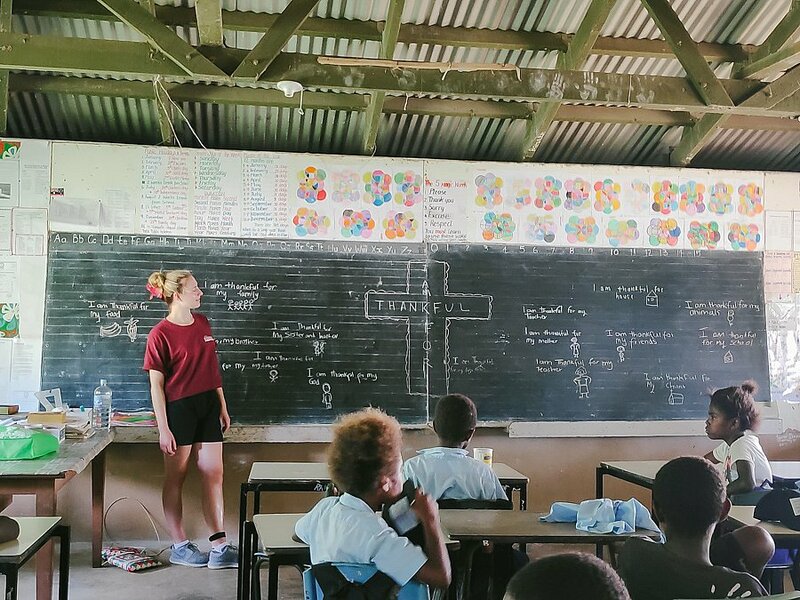 The fact that most of these students saved their own money to pay for this mission trip and chose to be there to serve instead of on ‘schoolies’ was an encouragement and testament to their maturity and Christian character. It was an honour and privilege to serve alongside the Year 12 students, Paul and Alyssa, as we learnt from each other and bonded as brothers and sisters in Christ. 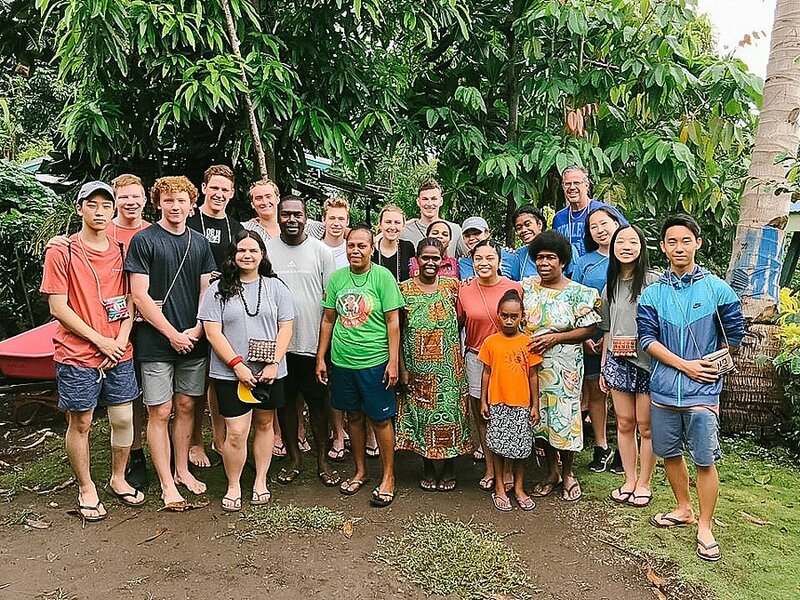 I am thankful for Vanuatu Mission 2018 and will encourage all my students to pursue mission as an opportunity to know, love and serve God.